With economic uncertainty and increase in global competition, organizations are faced with new challenges in an unpredictable environment. In today's business climate, it takes a true leader to get organized and focused on doing the right thing. Change, Change, Change: Leading in Turbulent Times is for leaders who want to raise the bar for themselves and move forward strategically. 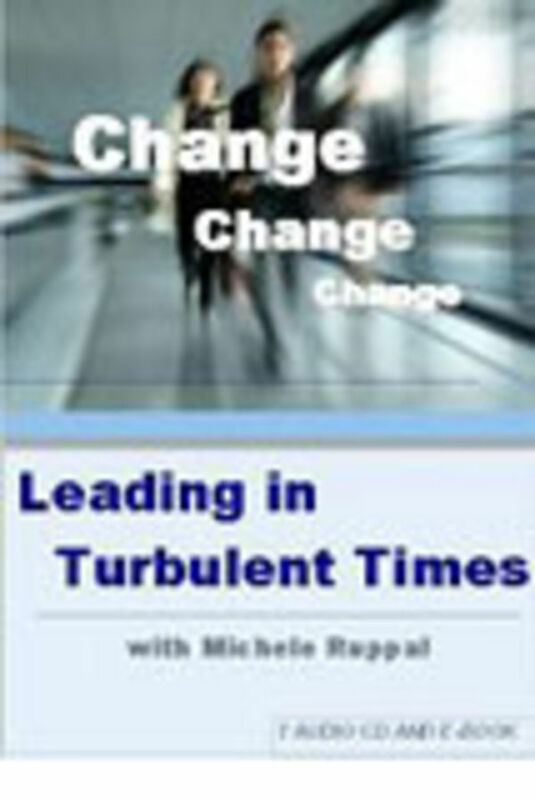 This program provides timely information to organizations facing challenges in turbulent times. As a leader, you will review these topics and more: Define and learn the drivers of change. Discover a 7 step strategic planning process that will help you focus on where you want to be and what you need to do. Learn how to conduct a S.W.O.T. and P.E.T.E.S. analysis. Explore ways to raise the bar and improve relationships with employees. Examine considerations for downsizing a workforce. Review ways to move forward with change and motivate employees. The program also includes an e-workbook.